Services will be 10:00 A.M. Wednesday, April 10, 2019 at the Wayside Community Church with Byron Williamson, officiating. The family will receive friends on Tuesday, April 9, 2019 from 6:00 to 8:00 P.M. at Brooks Chapel. Arrangements are by Brooks Funeral Directors. James was born February 22, 1930 in Alanreed to James William and Minnie Cummins Bible. 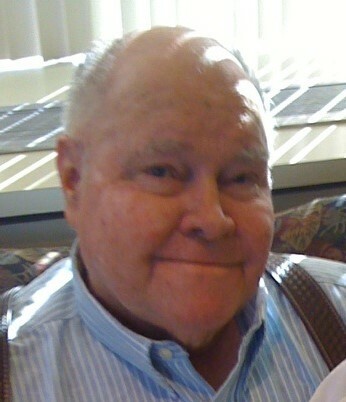 He graduated from Canyon High School in 1948 and then received his bachelor’s of science degree in agriculture from West Texas State University. He served in the National Guard. On August 9, 1953, James married Billy Gene Bryan at the Bryan Family Home. She preceded him death on May 31, 2015. They were married for 61 years. James was a retired dairy farmer and rancher. He spent his whole life farming in Randall County and Armstrong County. He was a 50-year member of the Masonic Lodge No.719 in Claude and No.730 in Canyon and the Soil and Water Conservation Service. He was also a member of the school boards in Claude and Wayside where he served as a past president, 4-H, a class parent (many times), Randall and Armstrong County Livestock Associations, and an Honorary Chapter Farmer of the FFA. He was recognized as the Farmer of the Week by KGNC. He was an avid sports fan and supporter. It didn’t matter what sport it was, but any of his kid’s were involved in it he loved it. He played football but loved wrestling. He was a loving and proud father, grandfather, and great-grandfather. He was also preceded in death a son, Jammie Frank Bible. Survivors include his seven children, Minnie Thomas and husband, Randy of Canyon, Joey Bible of Dalhart, Johnny Bible and wife, Debbie of Amarillo, Teddy Wane Bible of Wayside, Tonia Deneane Crawford and husband, Paul of Canyon, Tinesa Bible Stovall and husband, Dusty of Amarillo, Melissa Coulter and husband, Bill of Odessa; eight grandchildren, Deborah James and husband, Robin of Canyon, Alexia Thomas of Canyon, J.O. Thomas of Dallas, Courtney Waddell and husband, Taylor of Amarillo, William Thomas of Amarillo, Brenden Stovall of Amarillo, Brittany Belle Elliott of Canyon and Alyssa Elliott of Odessa; three great-grandsons, Jaiden Thomas of Canyon, Beckham Waddell of Amarillo, and Grayson James of Canyon; and numerous family and friends. The family suggests memorials to Wayside Community Church, PO Box 155, Wayside TX 79094 or the Wayside Community Cemetery Association, PO Box 155, Wayside, TX 79094.